Chandigarh girl Anjum Moudgil along with Jaipur’s Apurvi Chandela become the first Indian shooters to accomplish a secure place in the 2020 Olympic Games in Tokyo. 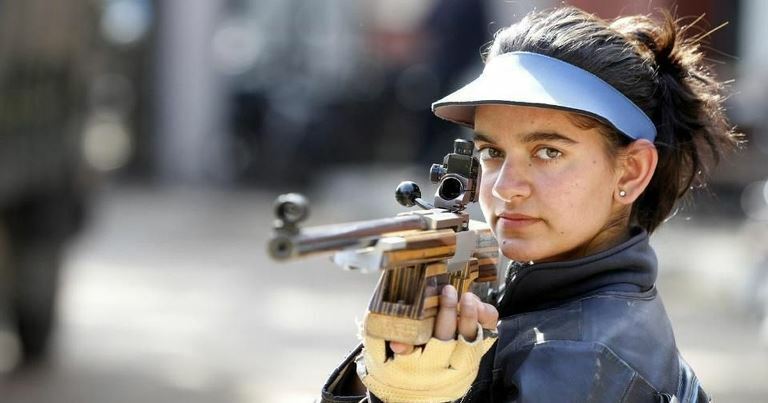 The quota places were given to Moudgil after she won silver in the 10m air rifle event at the ongoing 52nd ISSF World Championship in South Korea. The world championship is said to be the first tournament to offer quota places for the Tokyo Olympics. The true player knows how to make up for their mistakes or losses. Covering up the loss of an Asian Games medal, she finished second on the podium behind Korean Hana Im (251.1) . Chandigarh Girl Anjum Moudgil is a sub-inspector with Punjab Police and an alumna of DAV College, Sector 10. She shot a total of 248.4 in the eight-woman final. Talking to the Hindustan Times she expresses her happiness on winning her first world championship medal. She also shares how this medal got her an Olympic berth. The player also adds to her story about missing out on a medal at the Asian Games . But also plans to focus on keeping her hopes high through the entire game. She brightly adds that the game did not cause her more pressure but was a part of the journey Her next focus is now on the next tournament during the World Championship. A silver medallist in the 50m prone event in the Gold Coast Commonwealth Games earlier this year, Moudgil, is all focussed and clear about her goals. Truly an inspiration to many girls, not just of Chandigarh but beyond the border, wishing you good luck!